Allan Ewart (Bluecat Media founder) is an independent and freelance writer specialising in the field of Fintech and blockchain related projects, with a degree in finance, business start-up experience and approximately 8 years experience in cryptocurrencies. The Bluecat Media website was established in 2017 to provide an alternative independent source of news and information that is not widely published by the Mainstream Media (MSM), if at all. The website is 100% independent, privately owned and operated by Allan Ewart with absolutely no ties to, or funding from any Government or Non-Government related agency. It has no ties to any other media organisation. However, the platform does rely on 3rd party news sources via feeds and blogs from trusted parties who also provide articles, videos and narrative that is considered to be ‘alternative’ to the MSM and state propaganda channels. It has become abundantly clear that the general public at large (on both sides of the Atlantic) are being presented with a somewhat distorted view (to put it mildly) of news and events both domestically and geopolitically. 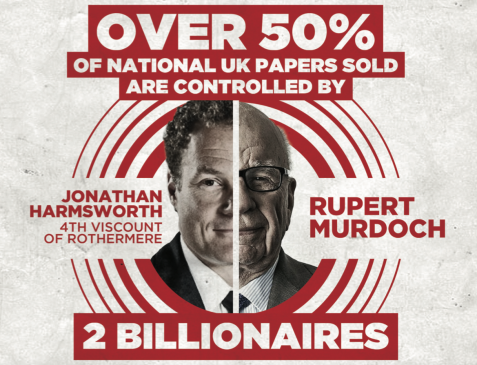 Here in the UK for example some 80% of the entire corporate media is owned by only a small handful of billionaires and their associated companies. It is time for an open and honest debate about the impact of media concentration on our democracy and our wider culture. 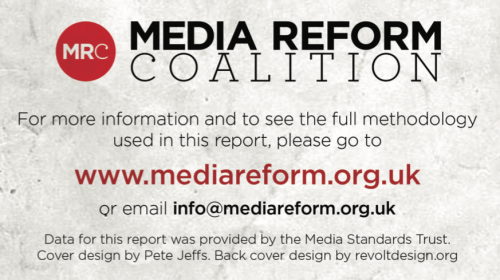 The Media Reform Coalition believes that media plurality is not a luxury in the digital age but an essential part of a media system in which vested interests are not allowed to dominate. We want to see independent media that are able to hold power to account and to serve their audiences and the public in general as opposed to shareholders, proprietors or politicians. Disturbingly, what has also become apparent is that long established institutions such as the BBC and The Times have shown blatant bias in their ‘reporting’ by blindly following the Government narrative. Indeed, they have recently engaged in openly attacking independent journalists, bloggers and social media commentators who dare to question these narratives, which is of course what any true journalist worth his or her salt should be doing. In addition to the ‘apologist‘ label, other terms are used for the purpose of silencing dissent, such as ‘conspiracy theorist” (originally introduced by the CIA to ridicule critical thinkers who were questioning the official narrative surrounding the JFK assassination), ‘Russian bot‘ which is attached to pretty much anyone who questions the official story line of the Skripal Case, the alleged CW attack in Syria and any other ‘official’ story line that challenges the ‘Russia did it’ demonisation of Russia narrative. Here we have a hit piece by the BBC attempting to discredit Sarah Abdallah and Vanessa Beeley. Sarah is an influential activist and commentator on Twitter. The BBC wrongly labeled her as a ‘Russian bot’. She recently countered this by producing a picture of her real self holding up a sign showing us that she is in fact clearly a real human being who likes to question things. Vanessa Beeley is another example of a real human being who has done some true journalism work actually on the ground in Syria. She has been following and reporting on events for the past few years in Syria. In order to remain independent, your continued support of this website via your kind donations is very much appreciated. Thank you so much!